State education agencies (SEAs) play an essential role in developing policies that support young children’s school readiness and success. 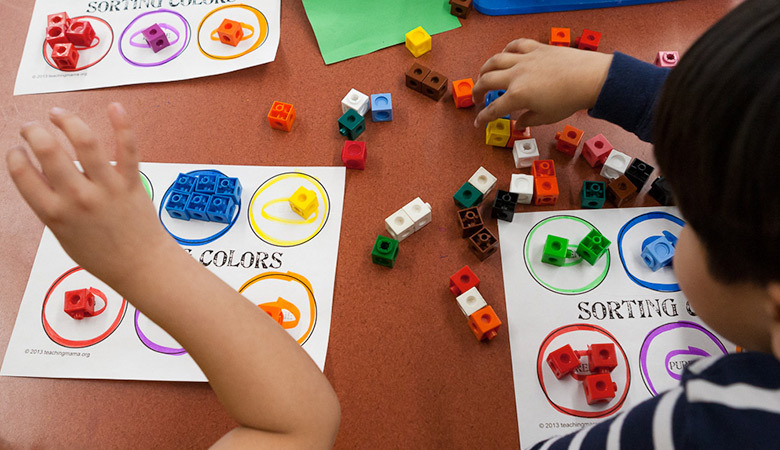 Yet nationwide, the busy early education specialists who work in SEAs need support to integrate research-based practices into their policymaking. The Center on Enhancing Early Learning Outcomes (CEELO) is charged with providing this support. EDC’s CEELO team is committed to grounding policy and practice in research, promoting sustainable change, fostering innovation, and reflecting and respecting diversity. It also provides resources and guidance to early education specialists in all 50 U.S. states and territories. This resource library from the Center on Enhancing Early Learning Outcomes (CEELO) contains policy reports, briefs, annotated bibliographies, and other tools targeted to help early childhood education leaders enhance child outcomes. Topics covered include assessment, comprehensive early childhood systems, the workforce, use of data to guide teaching and decision making, and more. This report, published by the Center on Enhancing Early Learning Outcomes (CEELO) and the Center on School Turnaround (CST), describes how three schools in Massachusetts, Missouri, and Nebraska integrated early childhood strategies into school turnaround efforts to improve instruction for all students. This report, jointly developed by the Center on Enhancing Early Learning Outcomes (CEELO) and the BUILD Initiative, shares findings from a think tank and working group in which early childhood leaders identified state policies that enhance teaching quality and significantly improve outcomes for children.